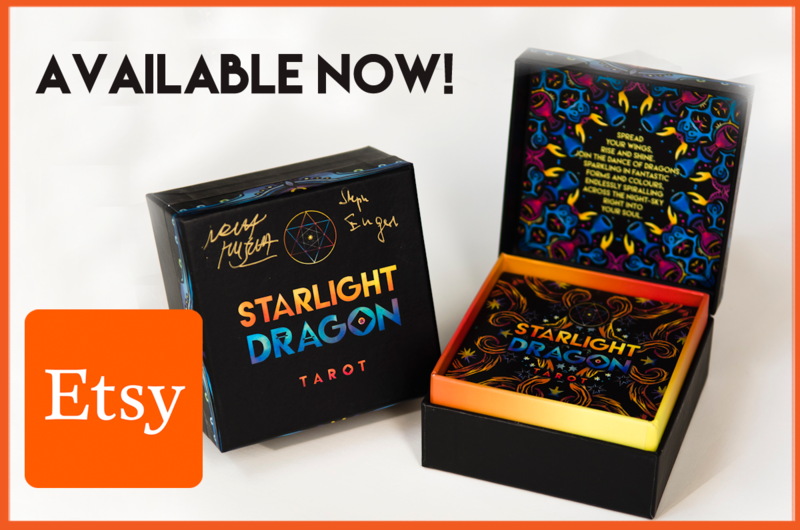 Our Sun-Dragon unites many different ideas and concepts. Prominent is the very ancient symbol of the winged sun-disk, an emblem of divinity, royalty and power in Egypt and the Near East (Meopotamia, Persia). In her face you can detect features of the lionine Egyptian sun-goddess Sekhmet, whose very name is derives from the root word for power. Sekhmet was the deity of war, courage and healing. One of her symbols was the Ureaeus-snake, the protecting serpent-power in the crown of the Pharaos. 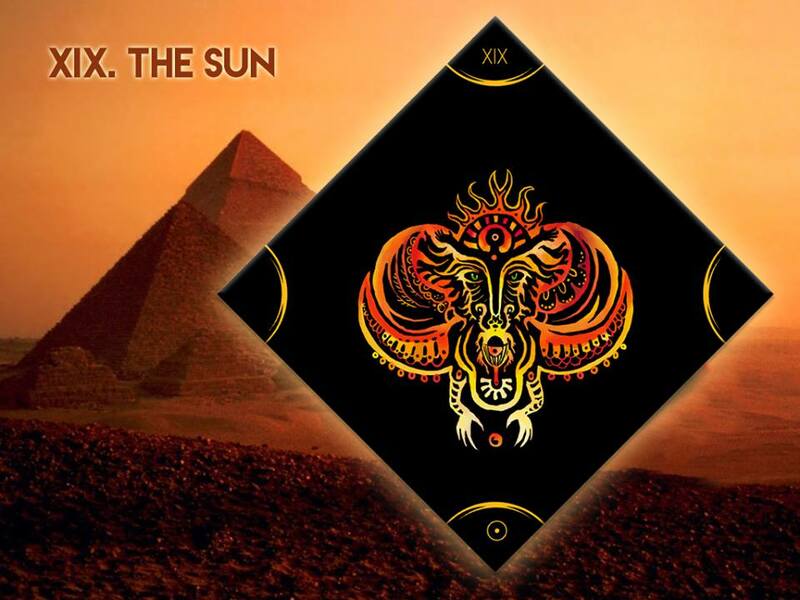 We also see in our image the phases of sun throughout day and even night, sun-rise and sun-set in her two wings, East and West, the sun at its zenith in her crown, finally, the black ‘midnight’ sun, where the mysterious rebirth processes are taking place in the scarab under her face.